Let me tell you it’s hot in Virginia. So you’d think we’d have enough sense not to travel to Florida in June. But our teenagers graduated this year and we took then to Florida for a graduation present. Spending four days at Universal Studios nearly did me in. I returned home to Virginia just in time to put the final touches on my newest release. 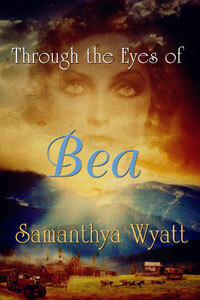 I’m very proud of my latest book, Through the Eyes of Bea. As an author of sizzling romance, Bea’s story was far different from anything I’ve done. I became enmeshed in life events regaled to me upon several occasions and decided I needed to write this heart-wrenching saga. Life is an interesting journey. We never know what’s in store for any of us. As a child, Bea had no idea her life would take such a drastic turn, yet with struggle and sacrifice, she overcame the challenges she faced. Abandoned by her mother, she had to take on the added responsibility of raising her siblings. Then her father brought a woman into their home making Bea and her siblings’ daily existence one of survival. The more I spoke with Bea, the more entangled I became in her story. Through the Eyes of Bea contains memories of incidents during a time when certain happenings were hushed, not talked about, never mentioned. Not like today when anything goes and everything is accepted. Happy times and sad times, I was deeply touched, and wanted to share this emotional experience. 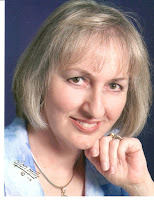 How did I become an author? Having a full time job and taking care of a family, my outlet was reading a good romance. Once I found historical romance novels, I couldn’t put a book down. I fell in love with the characters and needed to know their happy ending. Then I decided to pursue a writing career of my own. My morning usually begins with a cup of coffee and hitting the computer. I signed my first contract with Soul Mate Publishing. Since then I’ve had six books published in historical and contemporary. In the first book of my historical romance One and Only series, The Right One, Katherine’s brother is missing. Book two, The True One, is Stephen’s story—why he was gone for two years, what happened to him, and a love story all his own. Book three, The Only One features a duke. Giles was introduced in the first book as Morgan’s best friend. In the second book, he is asked to rescue Kat’s brother, Stephen. All of my books have a beginning and a romantically satisfying end for my characters. Nothing is left hanging. My first contemporary romance book was Something More. Infatuation and excitement spark a journey of passion and forbidden emotion where Matthew and Carrie must overcome their earlier convictions to find an everlasting love. In A Hero Grinch for Christmas, Dani will not allow Hunter, The Grinch, to hide from Christmas. I’m very excited about my latest book, Through the Eyes of Bea. Bea’s story is for all book lovers and a good read for any time of the day. I’m so proud of this book, and so pleased to be able to present it to Bea on her birthday. I get a lot of joy from creating new characters and bringing them together in a romantic tale with a bit of humor and active scenes. I sincerely hope all my readers receive as much joy reading my books as I do writing them. How could a mother distribute her children across the county and then just walk away? That was the question burning in Bea’s mind. All she could do was watch as her mother shattered her family and then just left. Bea may have been the oldest, but at thirteen, she was still a child. And now it was up to her to take care of her five siblings. Through struggle and sacrifice, Bea embraced her unchosen responsibility. When her father brought in a cruel, selfish woman who didn’t like children, Bea’s undertaking became one of survival. Bea’s story begins in 1925, during a time when things were hushed, private, hidden. Heart-wrenching memories of the incidents that happened in her home, and how she and her siblings prevailed. An accounting of grief, sorrow, strength, endurance and love in an era when America was struggling. Thank you for being with us today, Samanthya! Thank you so much for having me. This is a lovely blog.